The month of March has been incredibly fun on Facebook. 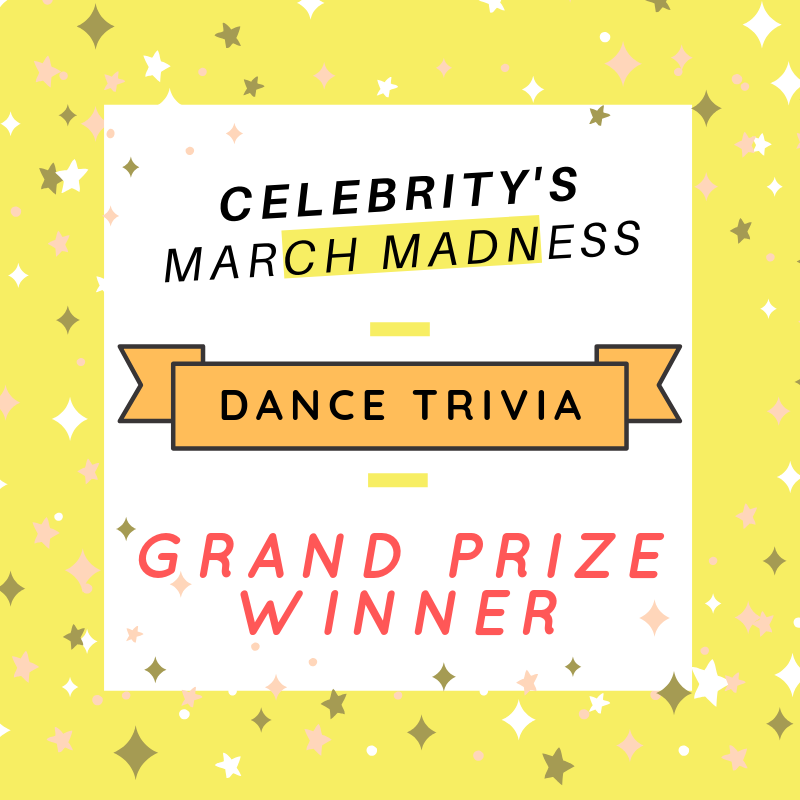 Among several other fun activities and announcements, we’ve been challenging our Facebook audience to test their ballroom dance knowledge in an ongoing March Madness Ballroom Dance Trivia Contest. Today we wrapped up the contest by revealing the correct answer to our last question about the beautiful dance Paso Doble, and we have a special announcement to make! Out of all the wonderful contestants we had this month, we have one lucky winner who answered with the most correct answers… Ms. Shirin Head! 2 Private Lessons, 3 Group Lessons and 1 Party! New to Celebrity Ballroom Dance Studios? Check out the upcoming Open House Night by clicking this link. And, no partner or prior dancing experience is required!